We are not meant to know everything, Mae. Did you ever think that perhaps our minds are delicately calibrated between the known and the unknown? That our souls need the mysteries of night and the clarity of day? I’m back with my second book review (check out my first if you haven’t already). This time the book is a novel, and is much more serious and thrilling than Amy Poehler’s book, though there were some humorous aspects as well. The book is called The Circle, and is written by Dave Eggers. Quotes including “chilling”, “prophetic” and “powerful” adorn the cover, and I couldn’t agree more with those descriptors. The story does not include any specific dates, but I imagine it to be set 5 to 10 years in the future. 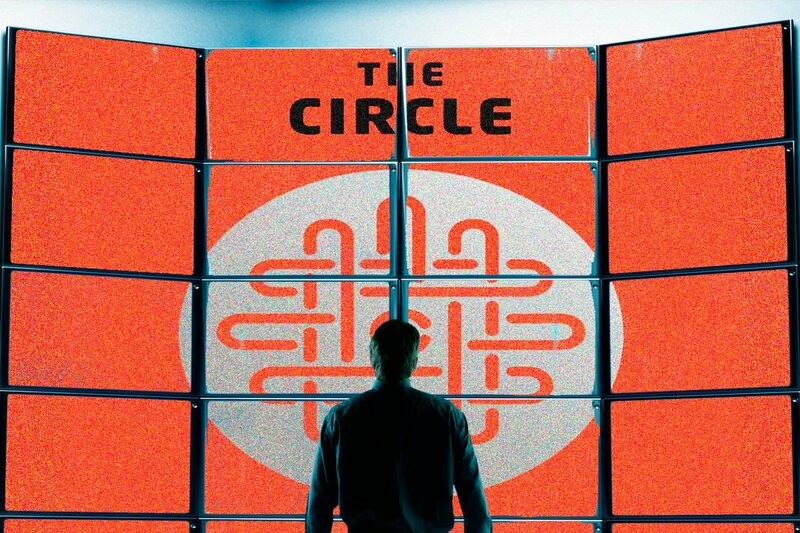 Mae is a woman in her mid-twenties, who has finally landed her dream job at the biggest and fastest growing technology company in the world: The Circle. The company has invented a completely new social networking site called Zing, which has replaced all other social sites and is basically a combination of all of them. You also only have one online persona; one username and one password for everything from banking to email. This eliminates the possibility of cyber bullying because there is no more anonymity. No more fake profiles. Sounds pretty nice, doesn’t it? My sister Caroline (who actually read the book this summer for college and recommended I read it) put it very nicely. She said: “All of the ideas and concepts in the book make sense and are brilliant ideas, until you look more closely at them and learn more information.” This is exactly right. The plot is a bit slow at first, and you are given a lot of details that seem pointless, but towards the middle everything starts to build and suddenly you realize that this company is not at all what you thought it was. Small details jump out as red flags from the beginning, and then by the end you want to scream at Mae to wake up and realize what is happening! So what is happening, you may be wondering? Well, in an effort to not give any major spoilers and ruin the entire book (because you really should read it) I will talk about one of the main themes in the book and how it plays out through the story, leaving out specific plot points and just talking generally. That theme is privacy. From fairly early on, it is apparent that privacy concerns as we know them today have vanished, at least at this company. The Circle seems to be a bit obsessed with being open and transparent online. Two of their slogans are: Privacy is theft! and Secrets are lies! We all have that friend on social media who shares way too much information, whether that is the status updates about her breakup, Instagram photos of every single meal she eats, or frequent angry tweets about her political views. By all means, share as much or as little as you’d like, but we all know that person who seems to go over the line, am I right? Anyway, imagine that instead of this being one person, it is now the majority. That’s right, everyone has drunk the cool aide and transformed into classic over-sharers. And what’s more, people seem to think it is normal. The idea of over-sharing and lack of privacy translates onto the video medium as well, and although there is no YouTube anymore, it reminded me a lot of vloggers on YouTube who share intimate details of their life for millions of viewers to see. Without giving too much away, imagine that the idea of vlogging caught on to such an extent that everyone, from an average person to a Congressman, was sharing their life through video, except that they were live streams and not edited the way vlogs are today. The two slogans I mentioned become increasingly important, to the extent where people are expected to share their life with everyone else at all times, with no secrets and no privacy. Ever. This book really made me think about how addicted we all are to social media and technology, and how realistic it actually seems for the events depicted in this novel to come true. Why is it that we feel the need to share so much with the world? And why do we love to learn so much about others? I am just as guilty as the next person. I love watching vlogs, and I can feel a sick obsession growing inside me to learn more about the people behind the camera. 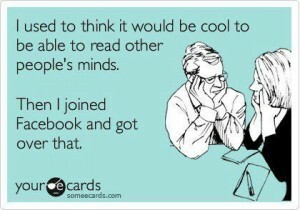 And I obviously like sharing stories from my own life online, because I have a blog. However, could it be that we are robbing ourselves of fully living in the moment, if all of our days are spent thinking about the best status update or the catchiest caption for a photo? I went to ACL Music Festival this past weekend, and the whole time I could feel my hand itching to grab my phone and take a picture or send a snapchat; something to prove to the world that I had been there. But then I thought “why not just enjoy it and save the memory in my mind rather than online?” And believe it or not, I didn’t end up taking a single picture or video. I am oddly proud of my restraint. Very good, especially for a second book review!